August 12 marks Lulu Sadler Craig’s birthday. Born in 1868, Lulu lived to be 104 and she left an imprint on many people’s lives. I never met Lulu Sadler Craig personally, but she became as vivid to me as if I had. 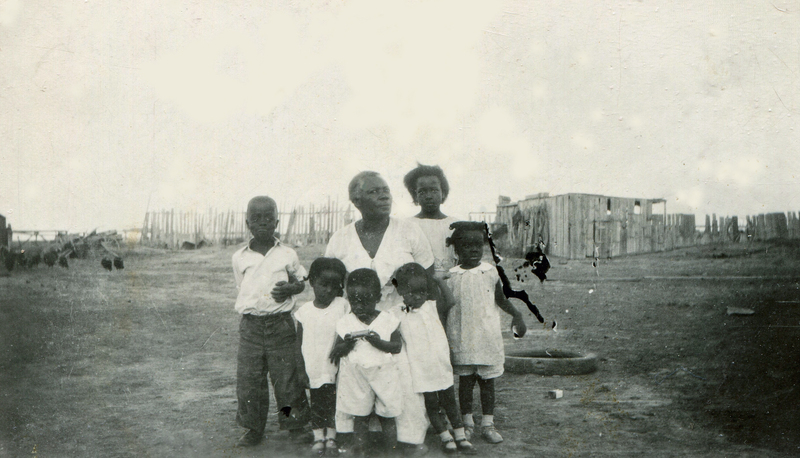 Through her grandchildren (Alice Craig McDonald, Darlene Craig Derbigny, and Bobby Craig) she became ever present in my research about the African American community who settled at The Dry, south of Manzanola (Southeastern Colorado) and she represented the courage and determination of all those who shared these drylands with Lulu Craig and her family. Lulu was one of the first settlers to arrive at The Dry in 1915, after she and her family left Nicodemus, Kansas (where she had been living since c. 1872). She was an extraordinary woman from all accounts: an educator and an historian, but above all a woman who made a strong impression on those who came to know her (or know of her, myself included). According to her grandchildren, she was a woman ahead of her time and greatly influenced all of them. The archaeological project at The Dry includes research at what once was Lulu Craig’s homestead, as well as at the homesteads of two of her children, Viola Craig Mitchell and Harvey Craig. Her family began to represent for the team members all of those who settled in the harsh lands of The Dry and persevered to make it their home. We would like to invite all to contribute to this celebration of The Dry settlers by telling us your memories of those who lived and labored there, including Lulu Sadler Craig. For us she became a symbol, but we would like to ask you to tell your stories of The Dry and those of the families who lived there.